Was this the end of the good golf? There is still golf to be played in Minnesota, I’m reasonably certain of that. It will take lots of layers, a stocking cap and at least one more club into every green because swings won’t exactly be free. But it certainly seems as if the good stuff is behind us. The reality of living in Minnesota is that the golf season does end. We don’t get 12 months of golf. While I’d certainly rather tee it up than blow snow, I think there is some appreciation that comes with the end of the season. It may be six months until we get another weekend like the one we just had here this weekend. And if that’s the case, the golf season went out on a high note. I played both days with rounds on good courses and with good company. I hit the ball pretty well, putted it great on Sunday and will thoughts of the weekend will help get me through the winter. Saturday was a nice round at the new home club. Played the back tees (6,900 yards) and broke 80 on a cool day that got better as time went along. 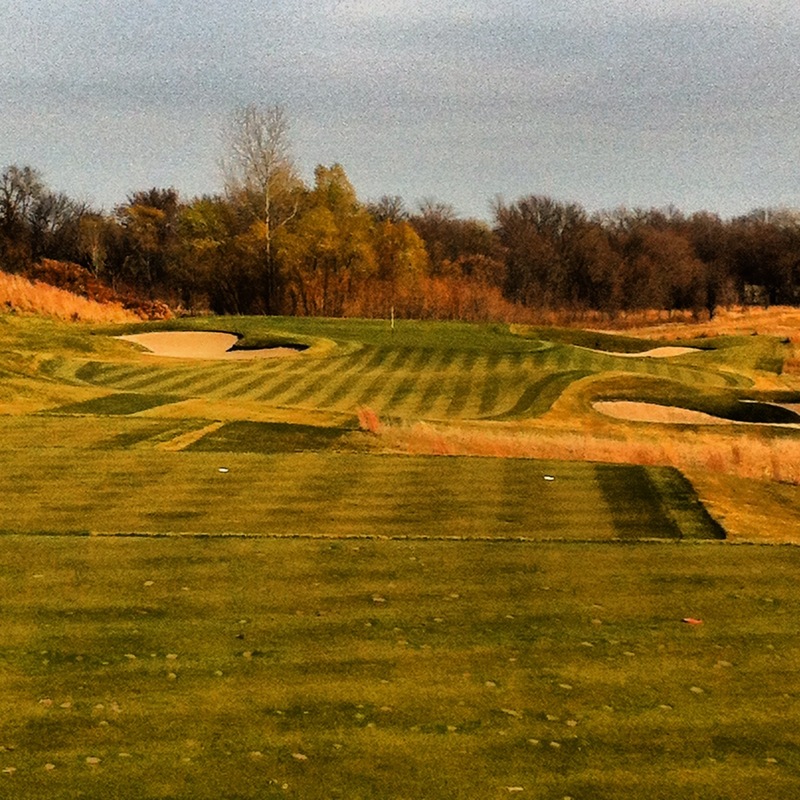 Sunday was fall golf at its best in Minnesota. It was Oct. 21, but it felt like September. I — perhaps the biggest cold weather wimp on the planet — even considered shorts. I did go with pants, but the fact that I considered shorts in late October tells you something. 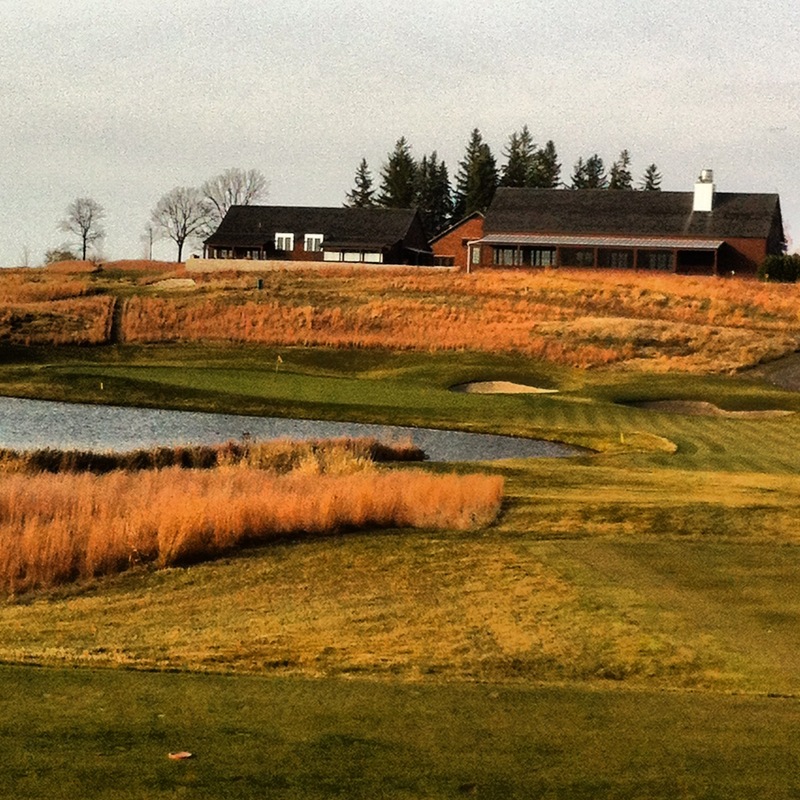 I played with a group of 10 that teed it up at Windsong Farm, a very solid Lehman/Fought design. We had a little match play competition. I played pretty well. I was hitting my tee ball close to the same distance as two of the guys in my group, I made three-straight bombs on the front nine (two for birdie, one for a better-than-I-deserved par) that helped my partner and I win the front. When I made the bomb for birdie and the win on No. 9, my partner said I was putting like Poulter. That’s as good as it gets. If it wasn’t for consecutive doubles on 11 and 12, I would have had a very realistic chance to break 80 on a challenging golf course. It was a great day. There was good golf, good competition, good conversation and a good burger afterwards. You can read a little more about the day — and see one of my competitors here giving me grief about my hot putter — here. If this was the end, it ended on a great day. Here are a couple of Instagramed pictures of Windsong Farm. And here is No. 16, a good par 3 over water. Nice post Jeff. If that had to be the last “good” round of the year I’m totally fine with that. Considering my first round of the year was in shorts and 80* weather on March 17th…it’s been a good year for golf in Minnesota. It wasn’t the end of the good golf.